Our range of products include electrode holders, flashback arrestors, fully insulated holders and gas cutting nozzles. Being a client centric organization, we are involved in offering a qualitative range of Electrode Holders. These are one of the most favored selections of clients, owing to its robustness and sturdy construction. Our devices are extensively applauded for their application specific design, robust construction and optimum strength. These are also available in customized dimensions and range. We are involved in offering a wide range of Flashback Arrestors. 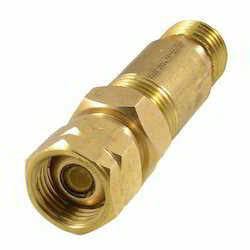 These are admired for their top quality components and using best available technologies. Our devices are acclaimed for their application specific design, robust construction and effective performance. Our devices are manufactured from top quality components and by implementing best available technologies. Keeping in mind the precise demands of clients, we offer a wide range of Fully Insulated Holders. Our devices are manufactured from top quality components which make these highly durable and reliable. Our devices are admired for their top quality, durability and rough and tough usage. Following the precise demands of clients, we offer these Fully Insulated Holders in various standard sizes. 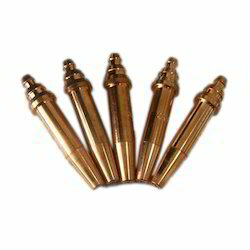 Enriched with vast industrial experience, we are involved in offering a wide range of Gas Cutting Nozzles. Our devices are manufactured using first grade components which are procured from reliable vendors of the industry. Our devices are available in various models, designs and range. These are available in various technical specifications as per the precise requirements of clients.